The Alberta Potato Commission Board (now Potato Growers of Alberta) was a culmination of potato growers and trade members with a vision of working together to build a successful potato industry in the province of Alberta, under the Alberta Potato Growers Association request. It was officially established on April 19, 1966 and remains a strong voice for the entire Alberta Potato Industry. The PGA is a progressive, member-driven organization focusing on success and sustainability in Alberta's potato industry through leadership, engagement, collaboration and truly effective communication. 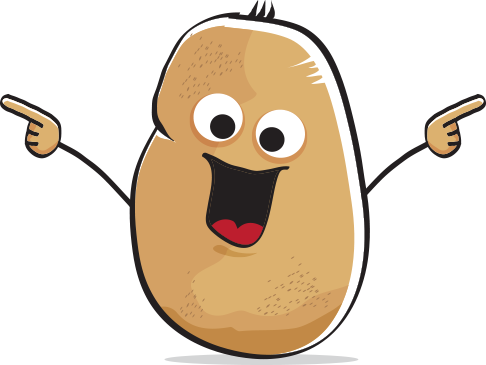 The PGA represents anyone who grows five or more acres of potatoes in Alberta, as well as, greenhouse nuclear growers who grow plantlets and sell mini tubers. Growers who fit into this criteria must register with the PGA for licensing annually. Today the PGA represents the interests of around 150 Members. The PGA is almost entirely funded by service charges (or fees) on potatoes grown and sold in Alberta. These fees are charged by tons of potatoes sold for processed potatoes, and by harvested acres for both table fresh and certified seed potatoes. Service fees are remitted directly to the PGA by processors, and billed directly to the grower for table and seed. Greenhouse growers are charged based on earnings for the year. The Potato Growers of Alberta is a non profit organization regulated under the Government of Alberta Marketing of Agricultural Products Act as a Commission. These regulations outline the scope and nature of the organization. Every four years Marketing Council completes a review to see if revisions are required to our Marketing Plan Regulation. The PGA is a progressive organization based on the unity of our members. We continually strive to enhance unity through member involvement and engagement. As a member driven organization, we recognize the importance of trust, respect and transparency in all we do. Our members operate in an industry founded on tradition and impacted by change. We support our members by focusing on environmental, economics, industry and grower sustainability. In order to be responsive to our members and proactive in addressing the challenges of the future, we strive to excel at servant leadership and collaboration. Communication is vital to all we do. Through use of skills, technology and understanding, we ensure that we communicate in a truly effective manner. To ensure Alberta growers have current information required to achieve success through ethical, safe and sustainable practices. To support and develop the grower's marketing endeavours by providing information, research and promotion for sustainable and continued orderly growth of the industry. To help growers maximize the potential of Alberta's potato production by providing opportunities for growers to share and gain knowledge from information, research and experience. Foster effective relationships with Government and other agencies to advocate the best interests of the potato industry. To encourage commission members and staff to achieve personal growth while providing leadership and excellence in delivery.